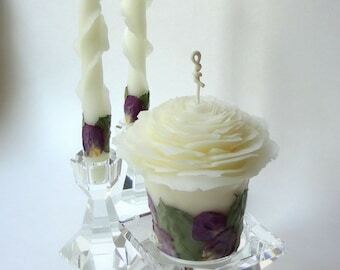 Elegant Wedding Unity Candle Pillar & Tapers Set custom handmade to order with the rose petal color of your choice. 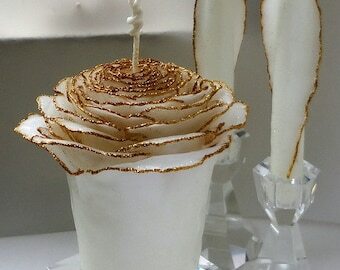 Exquisite for your wedding ceremony and your new home together for the years to come. 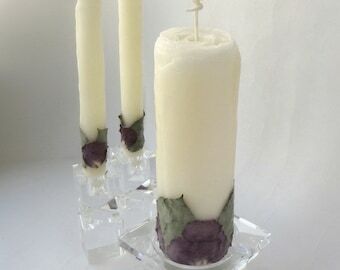 Handcrafted of pure beeswax in my "Column" style (cylindrical shape candles created with many thin overlapping layers to look like a rose just beginning to bloom). 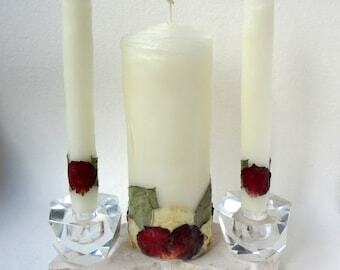 Each candle I make is unique - no two look exactly the same. 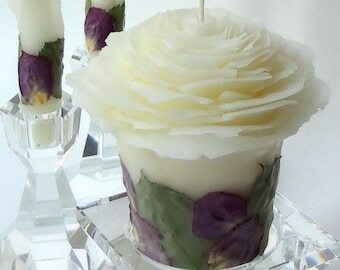 Photos show candles with a variety of rose petal colors from previous orders. Taller taper sizes are shown in 2 of the photos (custom sizes of pillars &/or tapers are available by request; prices vary depending on what you want). • BURN TIME: Pillar approx 65 hrs; Tapers approx 1" in height per hour. Please tell me the wedding date & the date needed by in the note section during checkout. The current estimated production time for this item is listed on the right-hand side or below this listing depending on your viewing device. In my signature packaging: In a white gift box, tied with tulle ribbon. 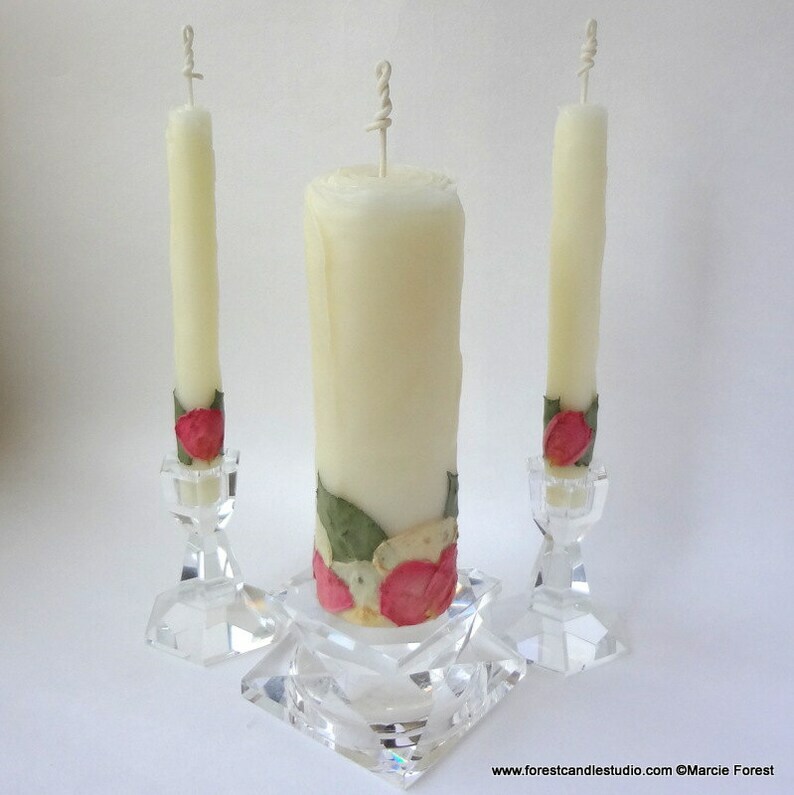 A Forest Candle Studio mini note card is enclosed (candle info & burning instructions are on the back). **Please Note: Can be sent as a gift directly to the recipient. Be sure to tell me their address & what message to write on the note card. If you'd like it sent directly to your wedding venue or other address different from yours, please contact me prior to, or at time of purchase, to confirm this.